A study recently released by a local university ranked Maryland (the "Free State") as the least free in the nation. “Maryland seems to have a lot of the restrictions that conservative states have, as well as restrictions on personal freedoms that liberal states have,” quotes Jason Sorens, one of the study's authors. The study was released by the Mercatus Center, a nonprofit public policy research center affiliated with George Mason University. The study used a wide swath of comparative data to determine personal freedoms, including alcohol and drug laws, asset forfeiture rules, and education regulations. Montgomery County Maryland has been issuing photo citations at a rate of 37,500 per month and is in the process of doubling it's number of fixed location cameras from 30 to 60 to meet a $15.7million quota for next fiscal year. Legislation to allow the use of speed cameras statewide goes into effect October 1 -- legislation which reduces the right of Maryland drivers to face their accuser and to be considered innocent until proven guilty (see how your representatives voted ) . 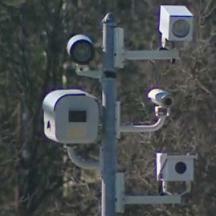 Some locations like Baltimore County rushing to put cameras in place immediately after it goes into effect [ref]. To add insult to injury, in addition to statewide speed cameras, the general assembly also authorized photo enforcement at rail crossings in Montgomery County, with up to $100 fines, in addition to the speed and red light cameras already in use there -- legislation which was never even reported on by Maryland's mainstream press. Montgomery County is currently debating new legislation which would restrict homeowners' right to park on their own property with fines of up to $750, after having tightened parking restrictions on large vehicles the previous year.